Last week, AT&T published a press release that states recently commissioned third-party studies found its 4G LTE network to be the nation’s most reliable. 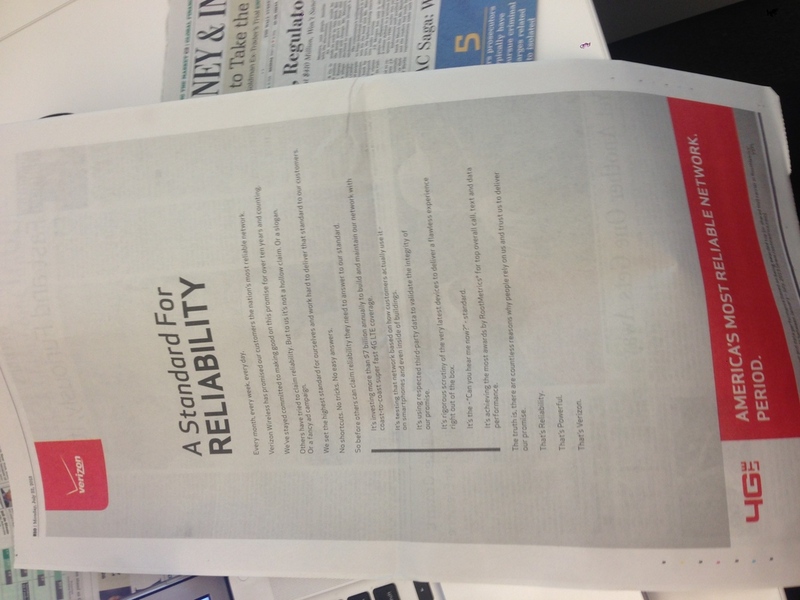 The only issue with that, is Verizon has long-touted its network as America’s most reliable. So, the question is, who truly has the most reliable network? 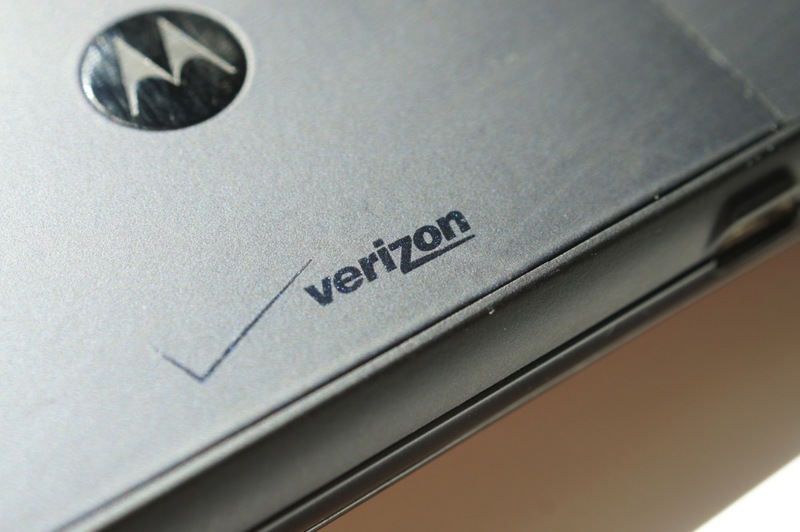 Is the claim simply a slogan used by Verizon to attract customers or part of a very large and ongoing marketing ploy? 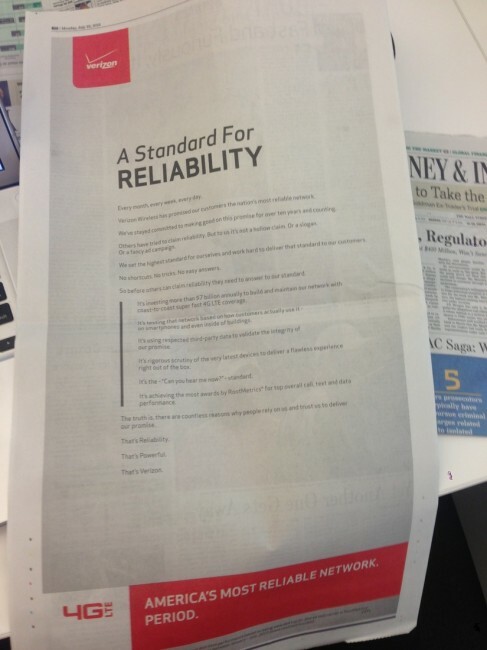 According to a full page ad put out by Verizon in the Wall Street Journal, while others claim to meet certain levels of reliability, Verizon continues to set the standard for reliability. In the comments section of the post we wrote regarding AT&T’s reliability claims, readers weren’t afraid (are you ever?) to give their thoughts on both of the network’s reliability. There was a lot of talk about network congestion in certain areas and things of that nature, but with customers from both carriers in so many different parts of the country, it’s hard to make everyone happy and give them perfect signal strength and excellent data speeds in all circumstances. What’s your take on the reliability beef between AT&T and Verizon? If you have tried both networks, lets us know your thoughts on each one and see how it all stacks up. It will be interesting to watch this drama unfold between the top two wireless carriers, both of which have massive marketing budgets for this type of thing.